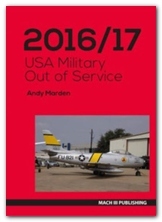 This site is designed to list the locations in the USA of military aircraft which are no longer in active service. We aim to provide details of their locations and status, as well as the odd picture. 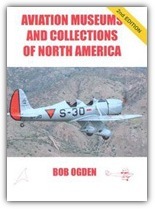 Some books which may be of use and interest to readers include Bob Ogden's 2nd Edition of his Aviation Museums and Collections of North America, and Andy Marden's USA Military Out of Service 2016/17, both of which are avilable from retailers, and are highly recommended.